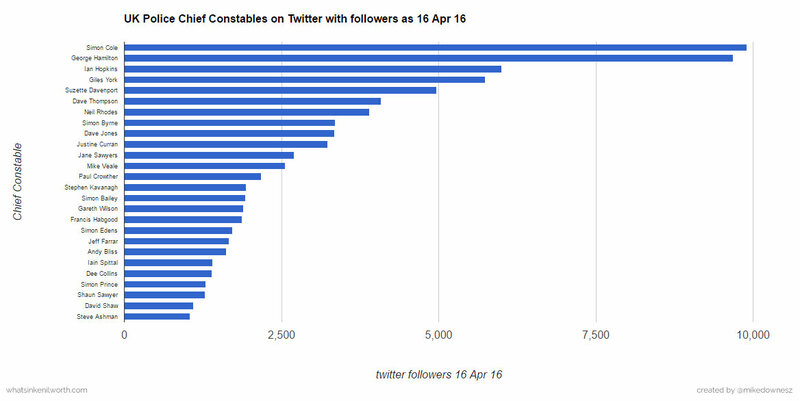 Of the 46 Chief Constables in the UK - 27 are on twitter and 19 are not (59% On - 41% Not On). Of course some CCs are newly appointed, temporary and a few been in post for many years. Quite a few CCs are known to me, like the social phenomenon that is Chief Simon Cole (9,906 followers). 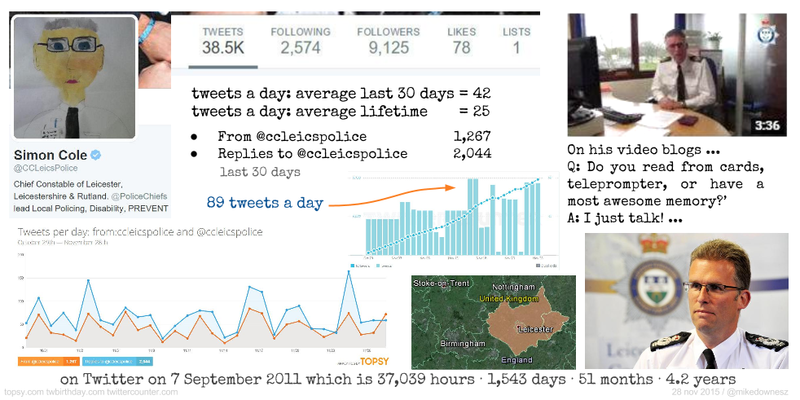 He's slipped out a massive 44,509 tweets since joining twitter 7 Sept 2011 (44,509 tweets/1,683 days = 26 tweets a day). I'm actually stood here shaking my head doubting the math - that's not possible is it?.. Contrast that with Chief George Hamilton from the Police Service of Northern Ireland with just 1,250 tweets and a join date of 25 June 2014. We see he's amassed 9,685 followers in 661 days - that is great work (1,250/661 = 1 tweet per day). And the reason I know that? 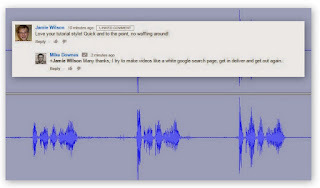 His weekly video blogs (see the Playlist, 29 so far) . That's always been the clincher for me - watching a person, any person speak to camera is so revealing about a human being. I'm told (by Simon Cole) he just turns up, the camera rolls, he talks without a script and job jone. Of course a few slide are overlaid in post edit, fair enough to that - keeps the viewer attentive. Apologies, I know little about how Chief Hamilton at PSNI tweet and how tweeting is perceived in Northern Ireland - but know a few people who can help me. By all accounts looks pretty popular. The slide about lists those 27 Chief twitter accounts sorted by most followed. 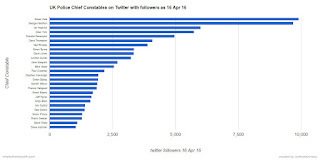 I've made a pdf doc too -- you are welcome to take a look: UK Police Chief Constables on Twitter 16 Apr 16 created by Mike Downes v2 (edit version 2 to include Olivia Pinkney, of course this makes 27 on twitter not 26). This post offers no data on drilling down to crunch data on the demographics of each UK Police force and therefore returning Chief follower numbers per 1,000 of the local population and showing it as some snazzy ratio. I may do that if I get time, I may not. For me, it's the relationship each Chief Constable is showing to the public they serve. And how easily the public (like me) can find out (on twitter or a video etc) out by the way of first hand story telling. For example, by reading a tweet, looking at a photo or watching a quick video. I do not class social story telling as a formal press interview. Remember, every police officer can operate their own Media Company and for free - do not think of it as a Twitter account, but a system for messaging the world whole in realtime. This is far more efficient in 2016 than any legacy press organisation (and they know it)..
Chief's Week video playlist from Simon Cole and Leicestershire Police ..